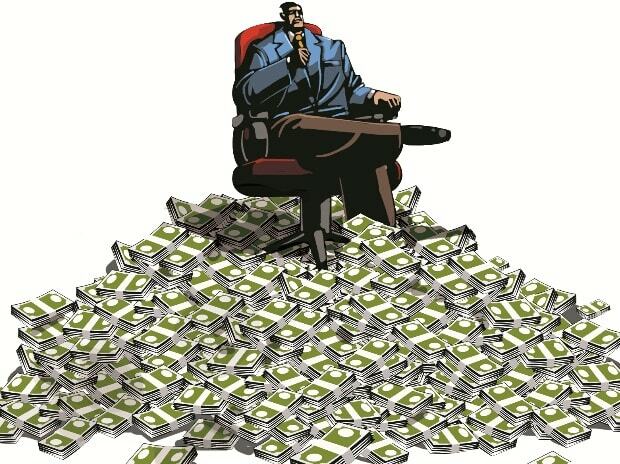 Sitting MPs across the country have an average annual self-income of Rs 30.29 lakh, with Andhra Pradesh topping the charts with its members of parliament earning an average of Rs 105.9 lakh per annum, a study showed on Saturday. On the other hand, Goa MPs earn the lowest with their average annual self-income coming at Rs 5.2 lakh, as per the latest report of the Association for Democratic Reforms and the National Election Watch. The report also showed 150 MPs aged between 46-55 years, have average annual self-income of Rs 40.54 lakh whereas 54 MPs aged 66-75 years have average annual self-income of Rs 16.72 Lakhs. The ADR, an NGO working in electoral reforms, has compiled the report after analysing self-sworn affidavits of the 479 MPs out of 521 members elected to the Lok Sabha in the 2014 elections. The empirical study also found that MPs who have declared themselves to be illiterate have an average annual self-income of Rs 1.41 crore. Besides, 98 or 20% of the 479 MPs analysed, have declared business as their profession, and 91 (19%) MPs as agriculturists or farmers. In 2018, the Supreme Court ruled that politicians, their spouses and associates should declare their sources of income, along with their assets, in order to qualify for contesting elections. The apex court further directed the government to set up a permanent mechanism to monitor the accrual of the wealth of sitting Members of Parliament and Members of Legislative Assemblies, their spouses and associates. In 2014 however, 42 MPs didn't disclose their income. 16 or 13% MPs, who declared their profession as actor/filmmaker/singer have the highest average annual self-income of Rs 106.81 lakhs. 40 or 8% MPs who declared their profession as agriculture and business have the second highest average annual self-income of Rs 75.24 lakhs. 150 MPs aged between 46-55 years, have average annual self-income of Rs 40.54 lakhs whereas 54 MPs aged 66-75 years, have average annual self-income of Rs 16.72 lakhs. Out of the top 20 MPs with highest annual self- income, eight are from the Bharatiya Janata Party (BJP), two from Biju Janata Dal (BJD), two from Trinamool Congress, two from NCP.